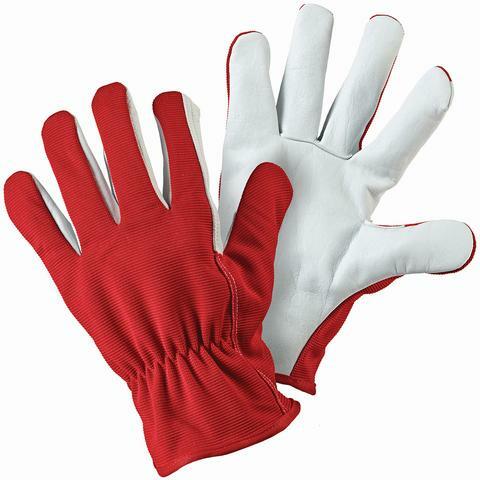 Soft and flexible with supple leather palms, the Briers Red Lined Leather Gardening Gloves B6319 are ideal for protecting your hands during an array of gardening tasks. 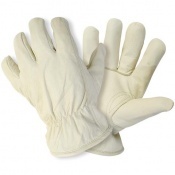 The gloves are soft and flexible with a fleecy lining, while protection is provided by the supple full leather palms and fingers. When gardening for long hours, hands may become tired if they are not protected. 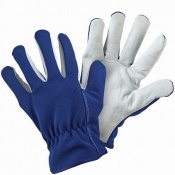 The soft fleecy lining of the gloves helps to add a layer of comfort between the hands and any tools or plants being handled, and the breathable backs keep hands feeling cool and comfortable. The B6319 gloves feature leather on the palms and fingers, which helps to protect hands when working with prickly or coarse plants and materials. This also helps to improve grip, with the leather being supple yet reliable. The leather is fully compliant from an audited tannery. The Briers Red Lined Leather Gardening Gloves are available in a single size that should fit most individuals. Please consult the table below for details. Use them while chopping and sawing logs, comfortable and flexible for the job I have chosen them for.